← Georgia State Parks: Tallulah Gorge State Park. 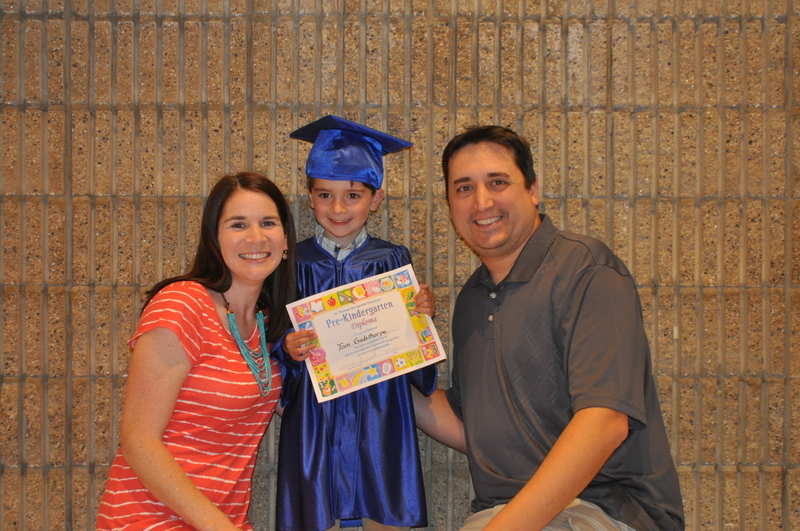 Tom graduated from Pre-K last week. 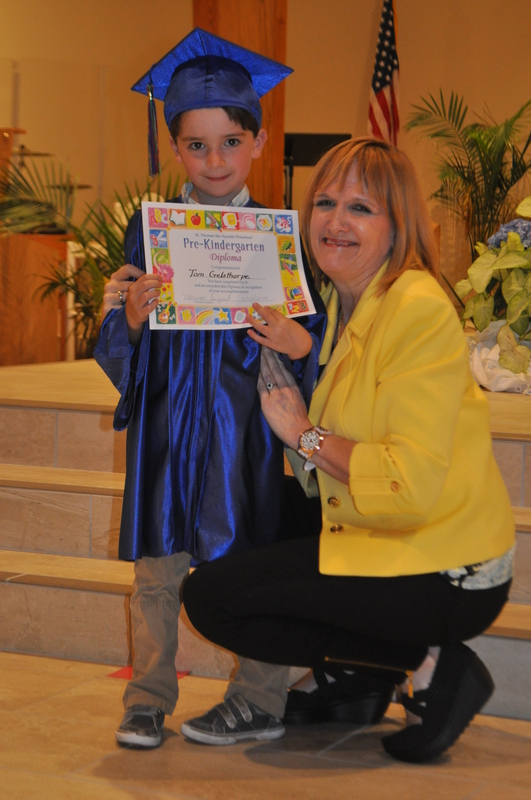 He is a preschool graduate! 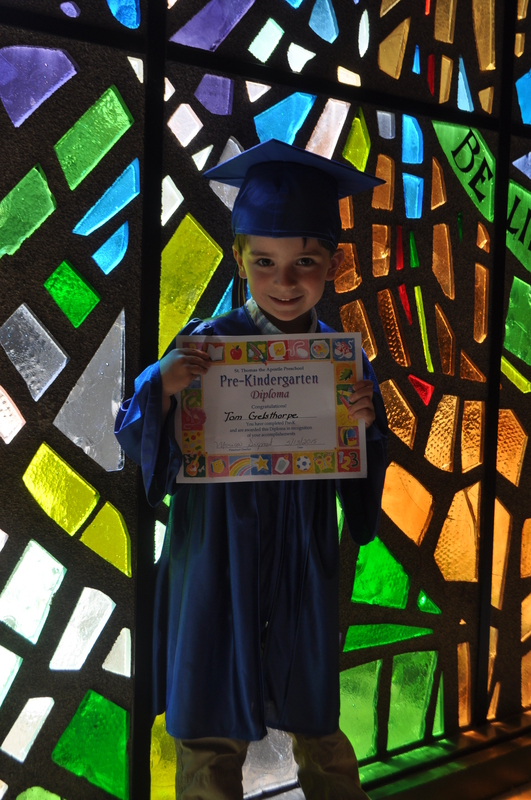 A future Kindergartner! I remember thinking when people told me that signing your child up for kindergarten was a major milestone, I understood what they meant, but I didn’t really understand all the feelings that go along with that. In my case, after I registered Tom for kindergarten, I went to my car and CRIED. Like, poor Alice was like, “Are you okay Mommy? Are those happy tears?” Ha! 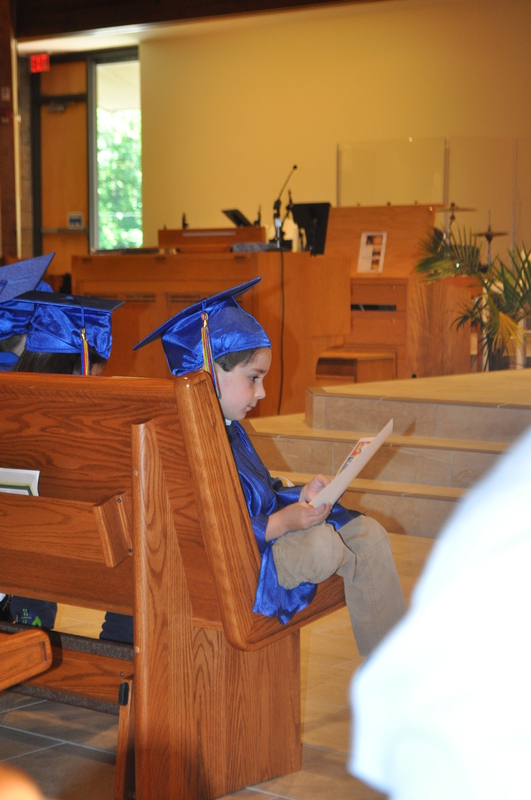 But after that little display, I felt fine about him “graduating” preschool. Except when we arrived at graduation that day, and I caught a glimpse of the kids in their little caps and gowns, I CRIED again! I couldn’t help it! 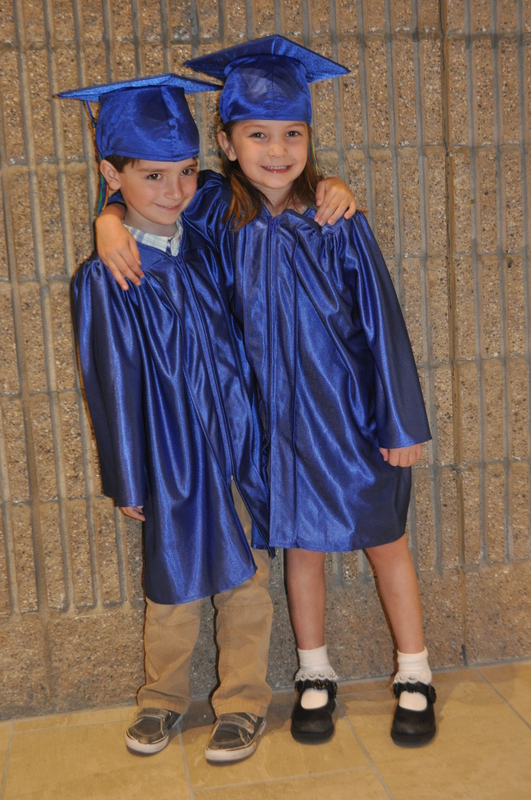 As soon as I saw them, I could immediately picture them graduating high school and leaving me forever, because I am crazy. Y’all. 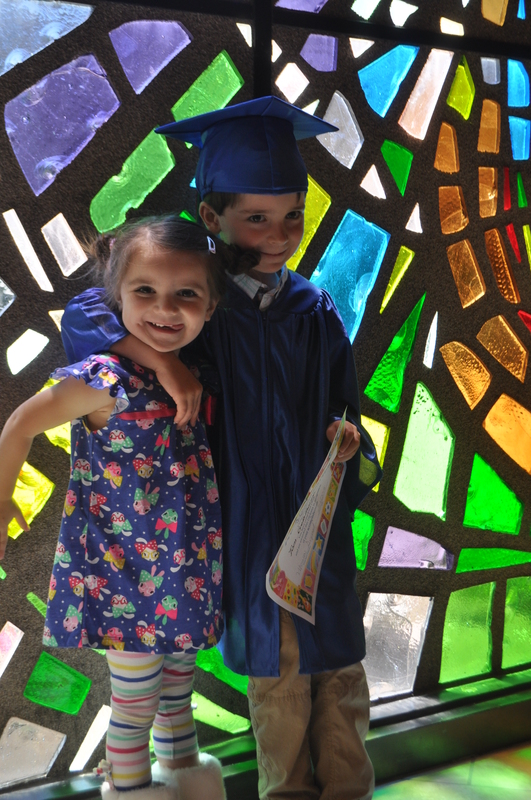 I’ve got no family understanding of the crisis that is TOM GRADUATING PRE-K. He marched in to the graduation music. He stood up and did all the movements to the songs the other kids were singing. He accepted his diploma, so happy to see it had a dinosaur on it. He posed for pictures with his teacher, his family, his classmates and his best friends. He ate cake afterwards. And probably really didn’t exactly know what was going on, but it was great. It was a really great day. And I really didn’t cry that much. I have loved our preschool for Tom. 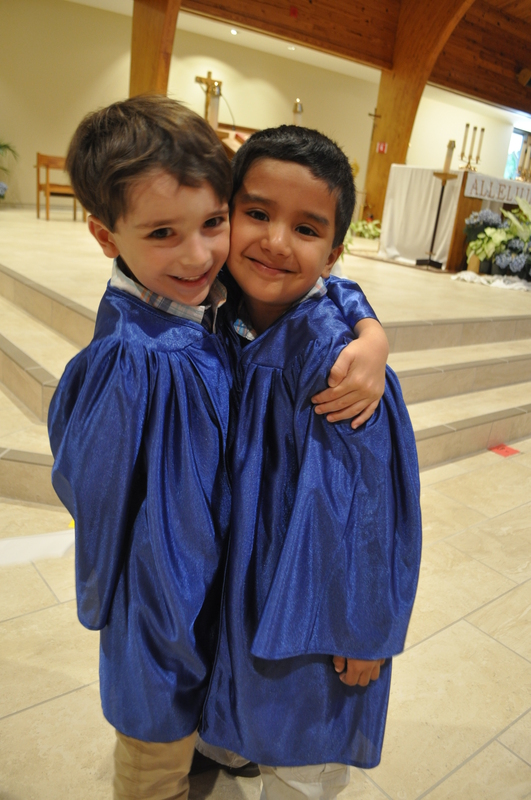 His teachers and friends have been so great, and I’m so happy he has had such fun and memorable experiences there. He has learned so much, and I am so thankful for this school. It’s probably what makes me so anxious about next year. How will a school ever live up to this sweet place? It has been the greatest. He is so excited about going to kindergarten and going to a “big kid” school. So. Excited. But I know that he has loved, loved, loved his preschool. He will miss it. And I will miss him being there. 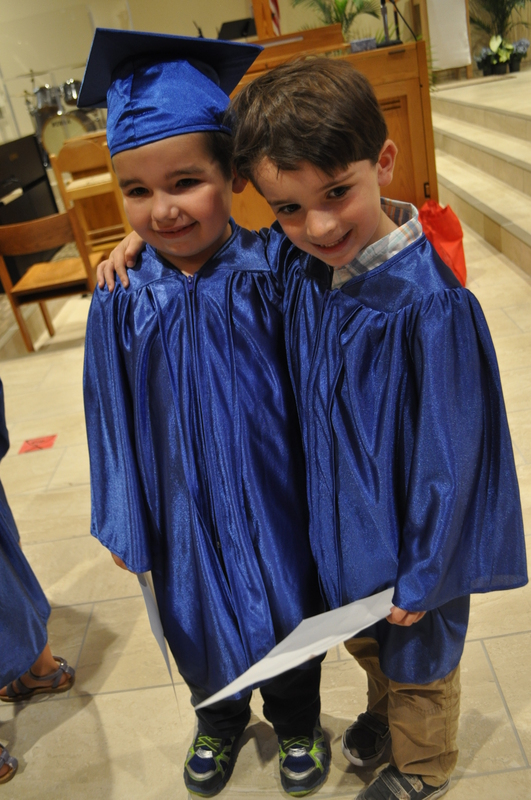 2 Responses to Tom’s Pre-K Graduation. I love all the pics with his buddies.. so cute. And the video is hilarious. I’m not sure what the wrists-together-fingers-out move is all about, but he had that one down pat! 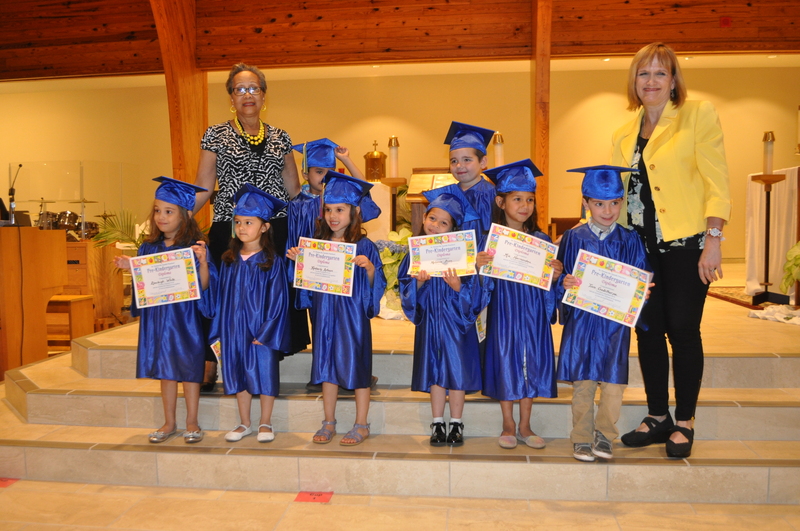 Can’t believe they will all be in Kindergarten in the fall. He is so grown up!